Product prices and availability are accurate as of 2019-04-23 23:01:39 EDT and are subject to change. Any price and availability information displayed on http://www.amazon.com/ at the time of purchase will apply to the purchase of this product. 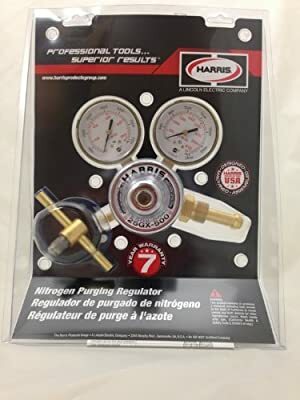 This single-stage nitrogen purging regulator is designed for performance and economy, but with features typically available in more expensive regulators. Specifically designed for HVAC and other nitrogen pressure testing and blanketing applications.